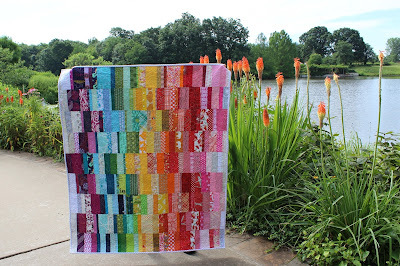 What is it about a rainbow that is so soothing and energizing and happy all at once? Practically speaking, this quilt was born of my overflowing scrap bin of strips. Therapeutically, it is the product of a few happy hours of simple sewing. 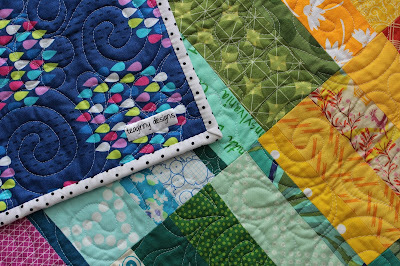 This baby quilt is 42 x 49, and quilters will not be surprised to know that my scrap bin somehow looks just a full now as it did before I started. 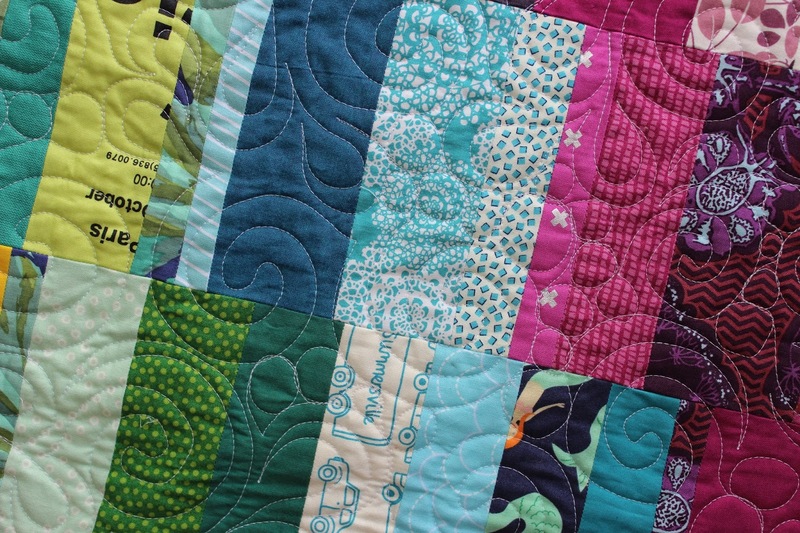 That proves scraps and scrap quilts are magic, right? 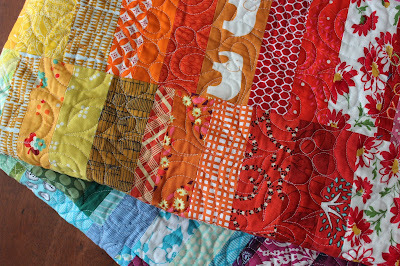 I love revisiting so many favorite fabrics in my scrap bins. I used white, Aurifil 2021 thread to free motion quilt swirls, paisleys and pebbles. I find this combination of designs compliment each other well, fit into each other's curves, and flow easily under my hands. 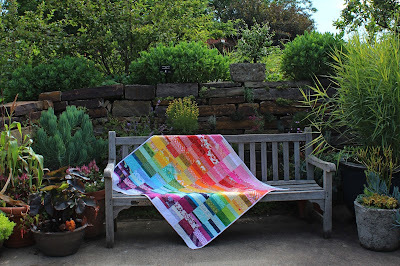 I've had the backing fabric for several years, and it makes me happy to find the perfect quilt in which to use it. 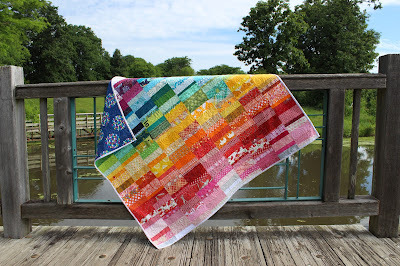 Raindrops for a rainbow quilt. I think saturated backing prints really balance a super colorful top. 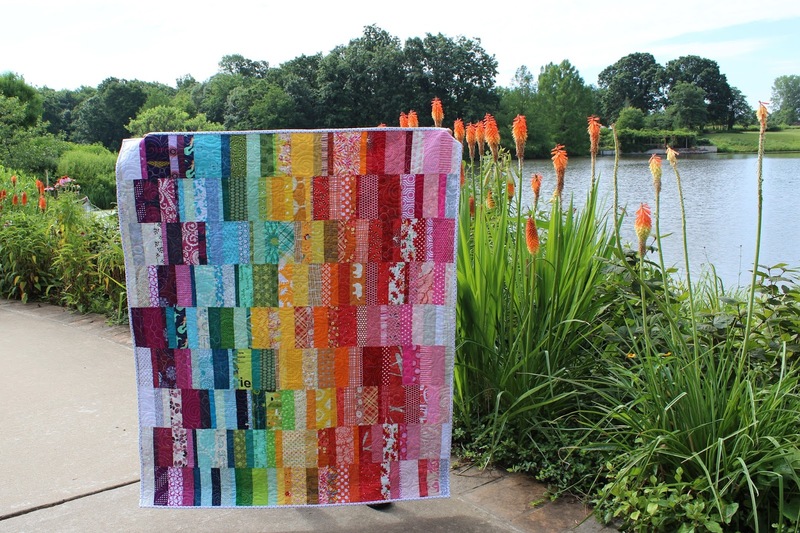 You can find this Rainbow Baby Quilt in my etsy shop.